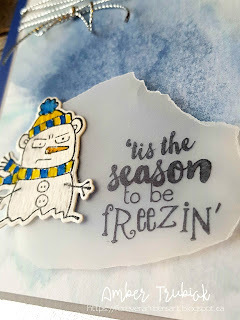 It feels like forEVAAaa... but I am back with the Scrap n' Stamp girls for another Blog Hop! 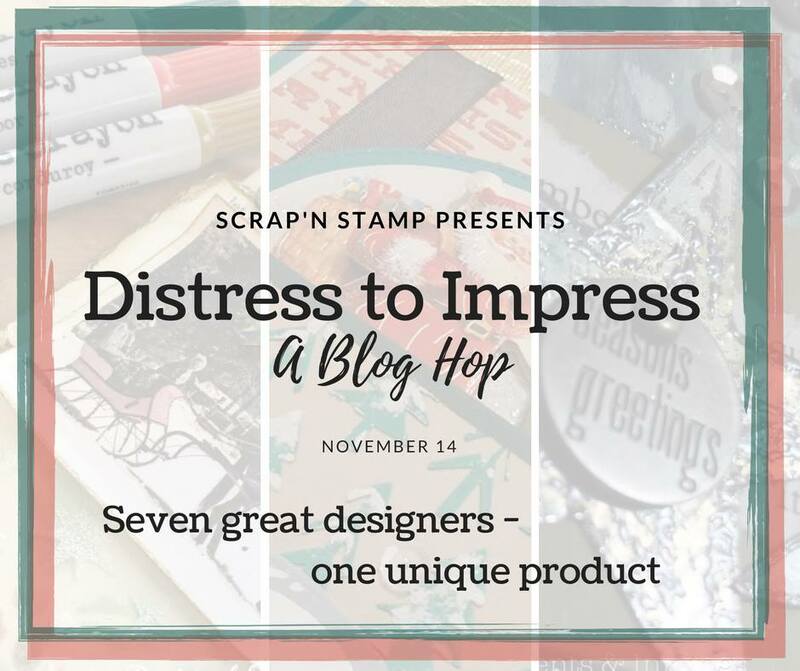 This is where it all begins this month - we are designing some fab projects featuring Tim Holtz Distress Crayons - and ....ENABLER ALERT: until Nov 30th they are 25% off over at Scrap n' Stamp!!! You might want to check that out! 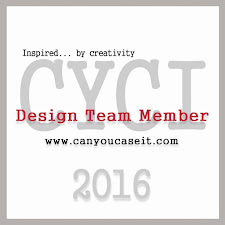 Here is what I designed! I kept it super simple - and... while I don't have a large selection of the crayons - I have been playing with these water-reactive goodies for awhile - and I love 'em! My "grumpy" little card says it all - here in my neck of the woods we have already had a blizzard and temps reaching -23C. If anyone in a warmer climate wants to adopt me....let's talk! Be sure to check out every stop along the Hop - because we are giving you a chance to win a pack of Distress Crayons for EACH blog! 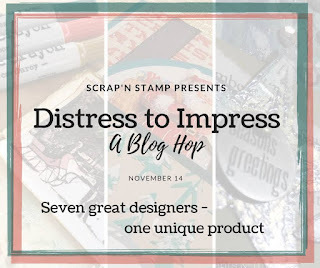 You have until Nov 21st to leave some love below and with all of the Scrap n' Stamp Blog Hop Team for a chance to win! 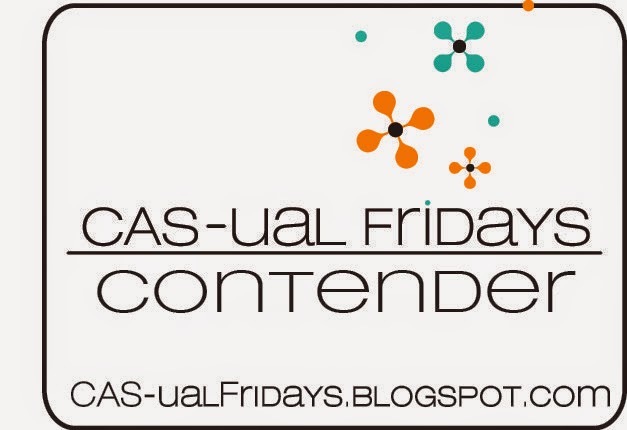 Next up is Amy's blog! Oh em gee! This is so cute! That stamp set is awesome too. I like the effect you got with the distress crayon, and the choice of grumpling! Just so cute - I love the Grumplings! Really nice wintry feel. I love these Grumplings! Aren't they a hoot? I have the crafty ones and they are perfect for each situation. Haven't tried the Distress Crayons yet. Very exciting looking. Oh my goodness... this is awesome! Love it!! Great use of Faded Jeans; thanks for the inspiration!!!! Wow! Just one crayon used? Fantastic!! Cute use of vellum! Cute card! Love your card. Great idea with the vellum and the Grumpling is cute, even is he is frowning. Love the texture that the Distress crayons created. 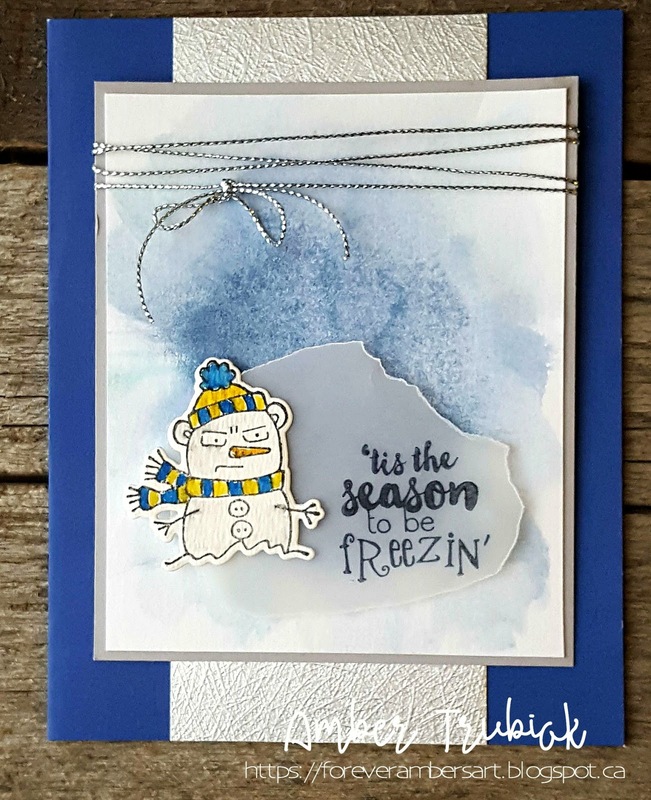 Everything about your card says "cold"
Love the design! Simple, yet looks great! Love that card! And that snowman makes me laugh. I love that card. I am not a big fan of winter and I live in the Yukon where we have had -20 Celsius already and that snowman really reflects my feelings about that. The bCkground is also a perfect shade to look a little angry as well. Love your card Amber! It made me giggle! Thanks! Oh my this is a cute card....love it! That's a great card !! I always love grumpy characters !! About your climate, if you want to come to France, you're welcome ! Lol !! 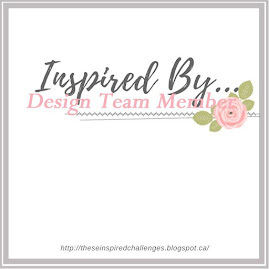 This week's Inspired By challenge is PERFECT for this weather as well! 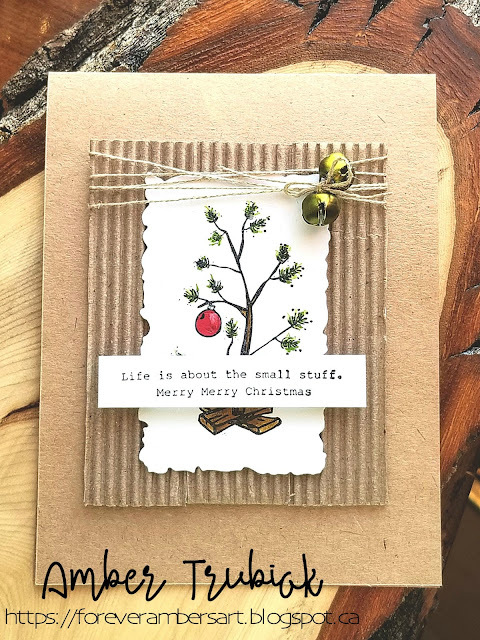 We have a super-fun cue to get your creative juices flowing - and this week, we have a FABULOUS sponsor and a personal favourite of mine - Unity Stamp Company! 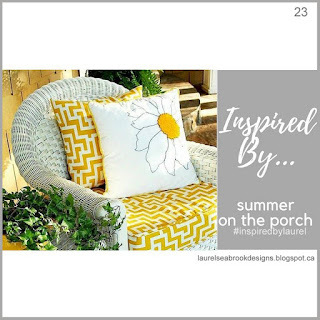 I love sitting on my front porch - its a little welcoming slice of shady heaven - so the card I designed was inspired by sitting and visiting with friends ... a perfect summer activity! Hi crafty friends!! I hope you are having a great beginning to your week! 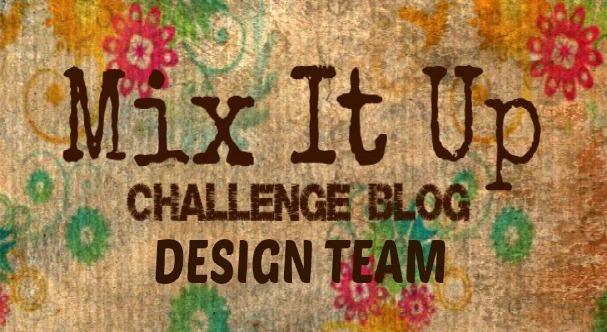 This week, the Stamp Ink Paper Design Team has a fun Tic Tac Toe challenge for you to get you inspired! I am excited to see what everyone creates using the different elements! 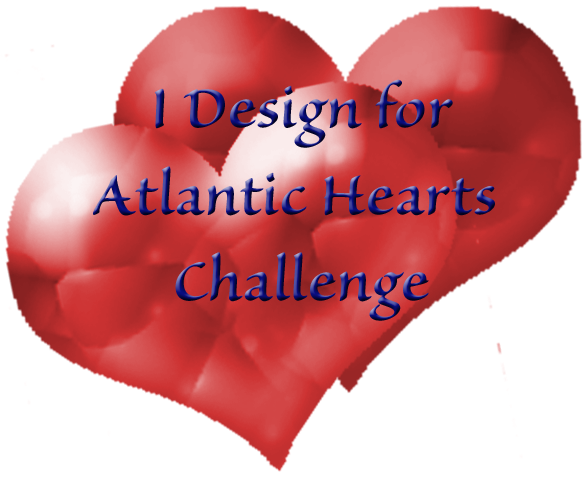 This challenge had SO many options - but... in the end I decided to stay in the middle - horizontally! I dug into my embossing folder stash and used a Taylored Expressions folder to create the fun cloud background and literally used scraps of Stampin Up's Daffodil Delight to make the sunbeams (simple, yet effective when paper choices are limited!) I kinda like how it turned out! :) I broke out my FAVE stamp set to date from SU! - Waterfront. The little scene was created using a medley of Pear Pizazz, Soft Sky and Soft Suede (stamped off to soften just a bit). Sigh...it has been WAY. TOO. LONG. Forgive me, but life has been a whirlwind of SO MANY amazing things. And hard things. And exciting things. And learning things. But here I am. I have been needing so so badly to get inky - in the worst way. It is my *one thing*...my go-to for serenity...to decompress. And life - well, sometimes it gets in the way, and I had to regroup and focus on a few things... but I always need to come back to my art. So here I am. Today was the day. I was feeling so so sick today, and a little bit of colouring did the trick to make me feel a wee bit better! I had to go easy, and this simple card was the baby step I needed. I created my design using a fun little sketch from Freshly Made Sketches. 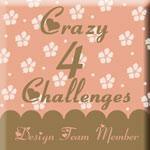 They are having a DT Call for their fabulous team, and I love playing along with them! I love being in my crafty space. 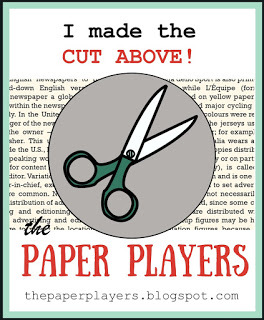 Papercrafting is my passion! I love peace. I love beauty. I am a mother, grandmother, spouse, artist, daughter, and follower of HAPPINESS. I am a Brave Girl. I'm a Mixed Up Girl!